Professional. Exclusive. Personalized. Quality Ingredients. Davines. SuddzFx. White Sands. Moroccan Oil. DevaCurl. Chosen & Designed to help you create the beautiful you! Each professional line we choose has purpose. Davines is “Sustainable Beauty.” They abide by all the European ‘green’ standards, in regards to using the highest quality ingredients, along with manufacturing that leaves no trace, simple beautiful ‘green’ packaging & community support. We currently carry Davines; The Essentials designed for all hair textures, Natural Tech designed as a more prescriptive line for specific scalp/hair issues & More Inside for the purpose of styling your strands. 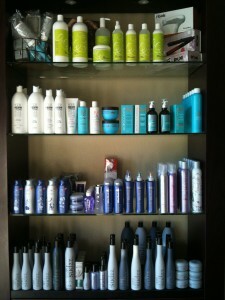 SuddzFX is one of our staple shampoo & conditioning lines. Free of sulphates as all our lines are. Clients like the scents they carry, packaging is simple & easy to use. Great for ALL hair types…with long lasting results. White Sands Products are amazing to style with especially for that baby fine lifeless hair. Products are clean, fragrant & water soluble. They instill the appropriate amount of moisture into the hair while protecting the hair from hot tools & environment. The hair maintains the desired weightless brushable style throughout your day. Great for updo techniques. Morrocan Oil in known by many for its intoxicating scent & ability to soak into that highly textured hair. The hair is left feeling moisturized, rich & shiny. Calling all Curls! DevaCurl is designed with the curly girl in mind. This line is encourages you to embrace your curls. To help you understand your curls & encourage them to “be” the kind of curls they are made to be. This line is not for everyone, but you’ll know if it was made for you.